Anyone who's spent time around animals knows they are experience a wide range of emotions, including joy, affection and even grief. 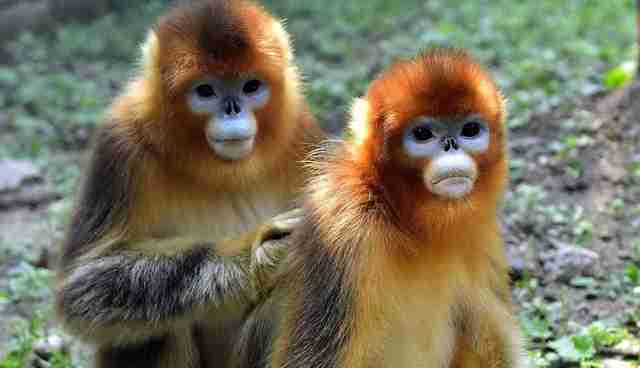 Two wild snub-nosed monkeys show just how deeply an animal can mourn a loved one. The remarkable and heartbreaking incident, documented in a study recently published in Current Biology, took place at Zhouzhi National Nature Reserve in the Chinese province of Shaanxi. 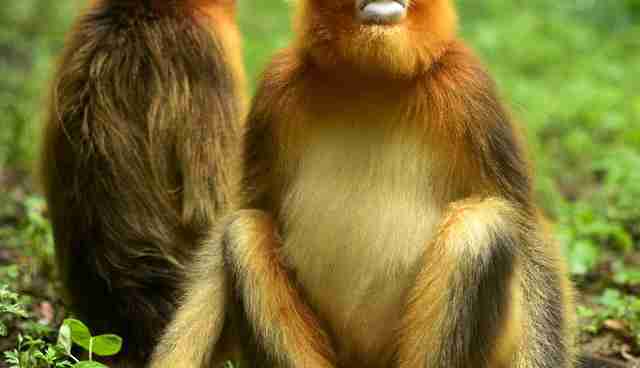 One day, researchers noticed that a female snub-nosed monkey, whom they named "DM," appeared weak, with blood seeping from her nostrils. Her partner, an alpha male, appeared to notice DM's condition and went to her, New Scientist recounted. The two of them climbed up a tree, where DM was groomed by her love. Things suddenly - and tragically - took a turn for the worse when DM fell out of the tree and hit the ground. She was alive, just barely - and her husband, as well as other female monkeys, rushed to her side to groom her for nearly an hour. Sadly, she eventually passed away. 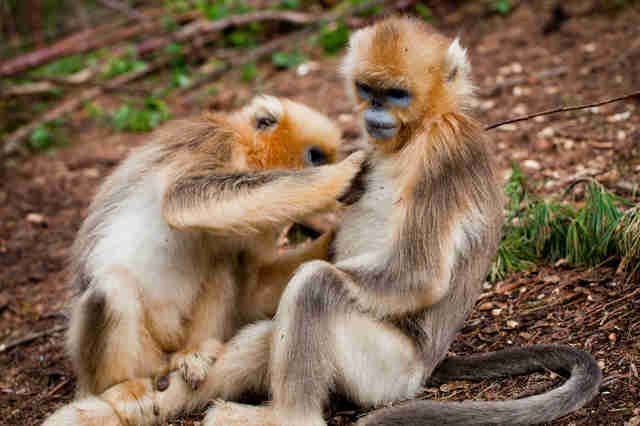 However, her male partner remained with her body even after the other monkeys left it. He continued to touch her for minutes after, before leaving to join the rest of his group. He kept looking back in her direction until the group left the area later in the day. Researchers buried DM's body, but the next day, her husband found the spot where she rested, to quietly observe her grave before leaving once again. "The case reported here is particularly interesting because of the exclusively gentle nature of the interactions, and the special treatment of the dying female shown by the adult male," says James Anderson, a professor at Kyoto University and one of the study's coauthors. Anderson also said it was likely that long-lived species like primates, who are exposed to death repeatedly, have the ability to understand death is permanent - and to exhibit empathy for their sick friends. DM's husband showed compassion to her while she was dying, and even after she was gone, he kept looking back, again and again, unable to let go of their bond.